To keep the heather in good health with a diverse patchwork of ages from young to old we burn it in controlled areas called Muirburn. The ground on Eastside is mainly heather hills and moorland. Open heather moorland with its vegetation of heather, grasses, berries and mosses is a globally rare habitat. With three quarters of the worlds moorlands found in the UK (and most of that in Scotland) we have a duty to look after it carefully. We share the hills and moor with an abundance of wildlife. At different times of year you may see Red and Black Grouse, Curlew, Lapwing, Snipe, Merlin & Peregrine. It is also home to Deer and Mountain Hares. The heather is a good food supply both for sheep and wildlife, especially black and red grouse. When the heather gets old and woody it is indigestible but the young shoots are very edible. For the sheep and wildlife, a good mix of old and new is most beneficial; the old heather plants are shrubby bushes about 2-3 feet high and provide good cover and shelter from the weather as well as ideal nesting sites for ground nesting birds such as the grouse and golden plover while the young heather shoots keep hunger at bay. 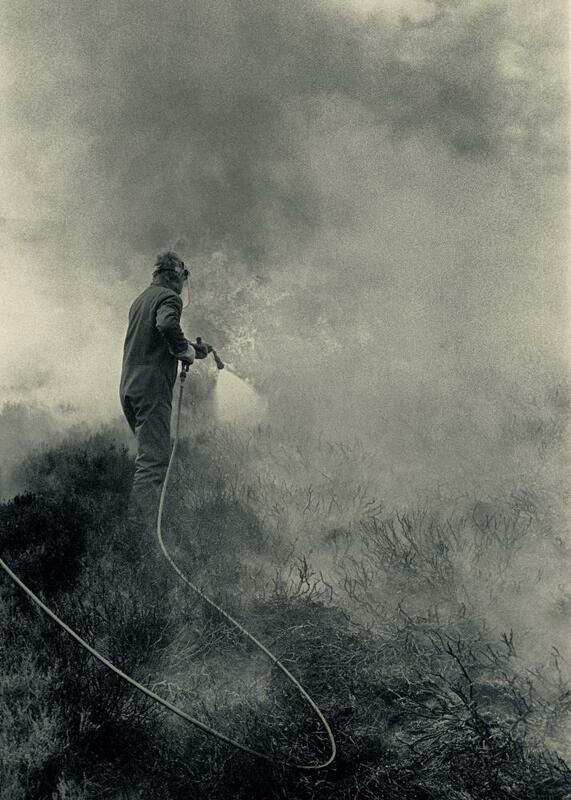 To ensure a plentiful supply of young shoots, between the 1st October and the 15th April, we aim to burn 10% of the heather cover each year (a process called muirburn) but in reality this is a hard goal to achieve. 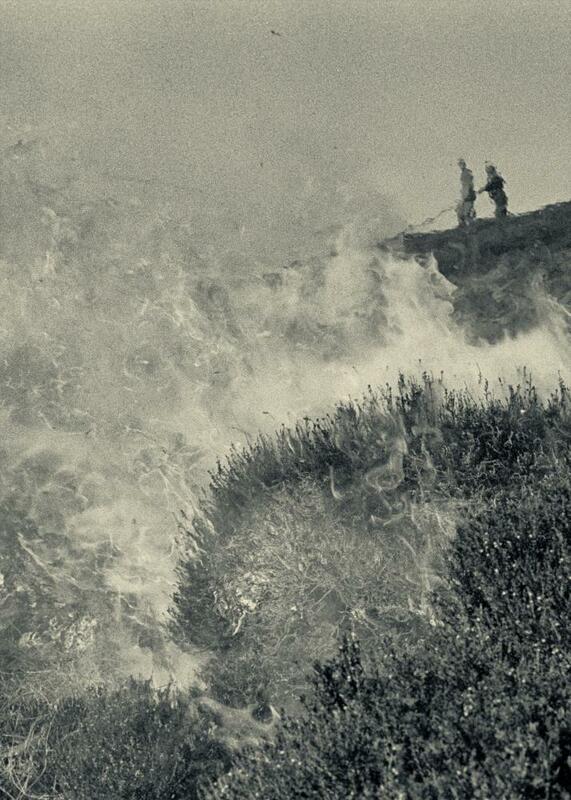 The conditions have to be just right for a good burn with the heather dry enough to ignite (impossible some years!) and the wind in the right direction. We try and burn an old area of the plants into a recovering area from the previous year so that there is a natural fire break. 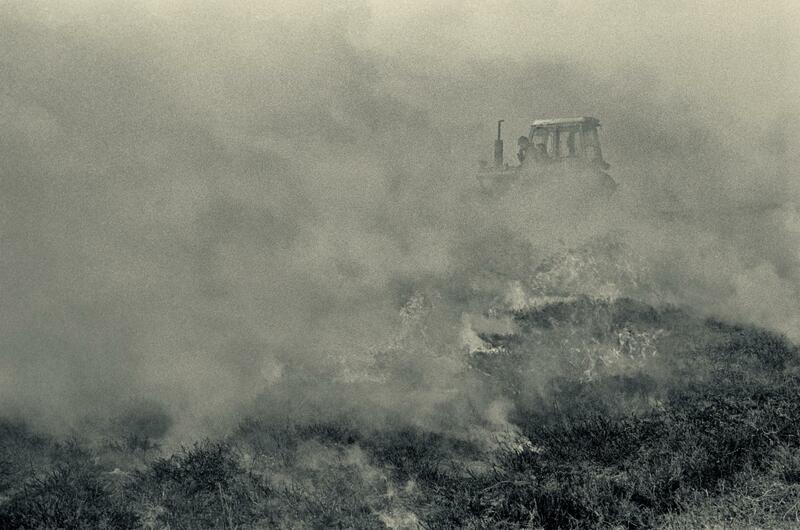 When walking the moor and surrounding hills look out for the patchwork of old, newly burnt and regenerating heather. A mosaic designed to feed, shelter and support all of the uplands inhabitants.